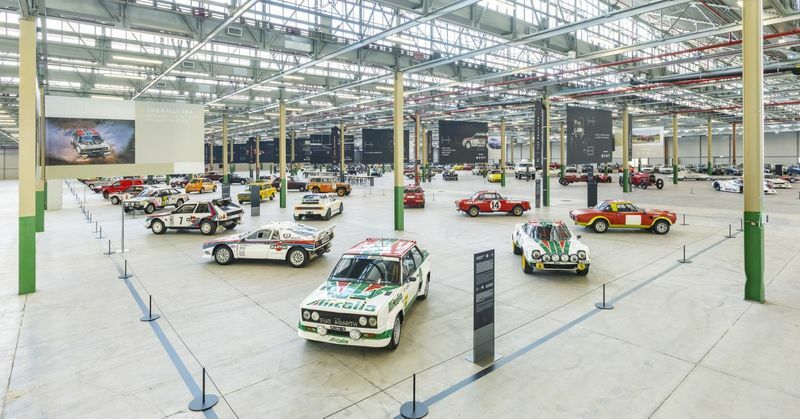 If you’re looking for a car attraction to visit in Italy, here’s a new one to add to your list. 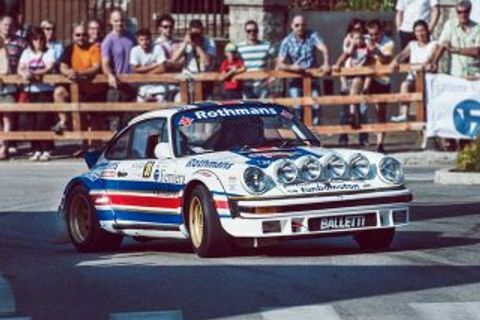 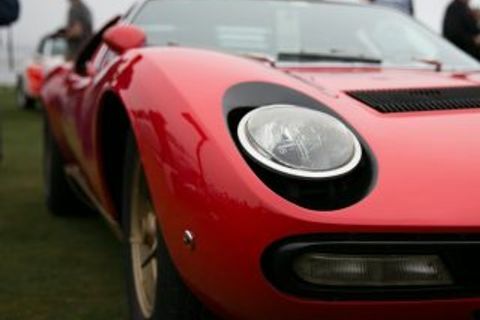 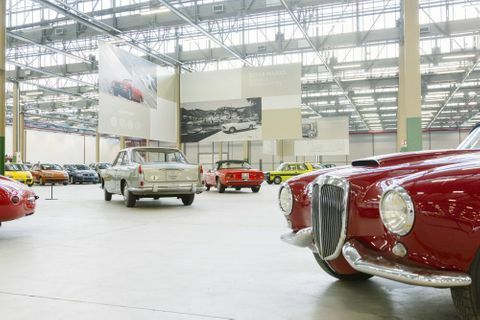 It comes courtesy of FCA Heritage, the organisation that looks after Fiat, Lancia, Abarth and Alfa Romeo. 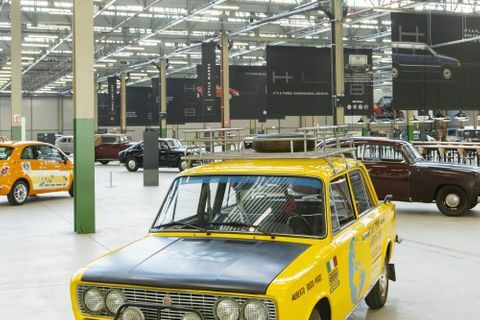 It’s called the FCA Heritage Hub, and it’s locatedin the former Officina 81 site in Via Plava, part of Turin’s huge industrial area of Mirafiori. 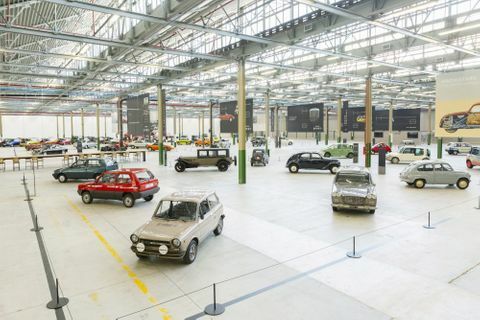 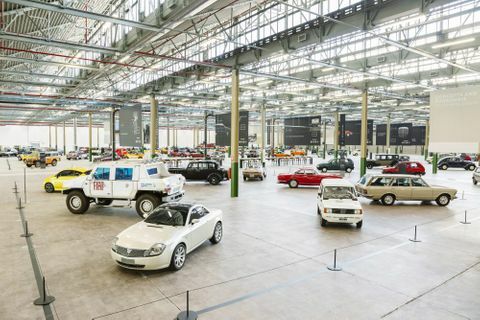 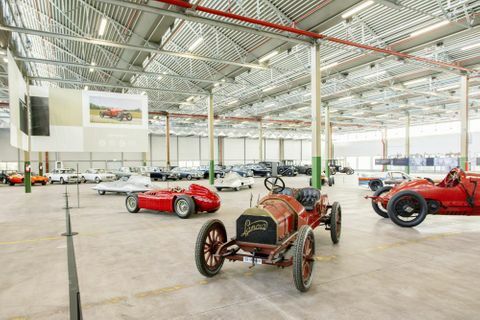 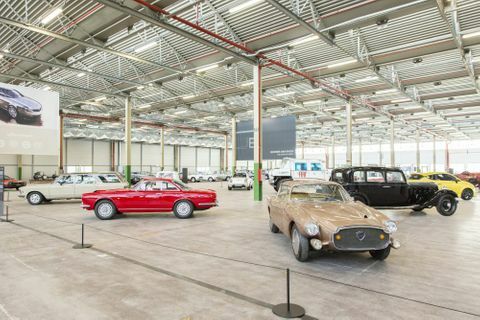 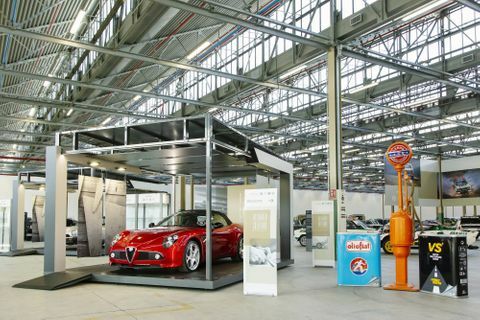 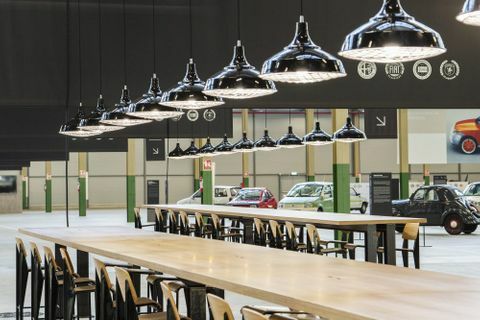 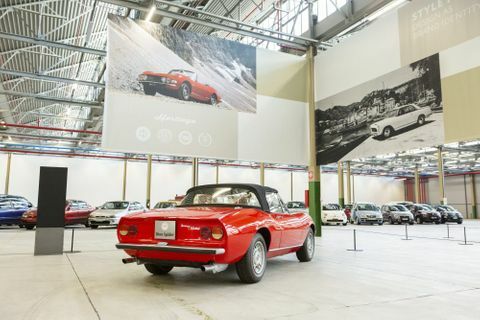 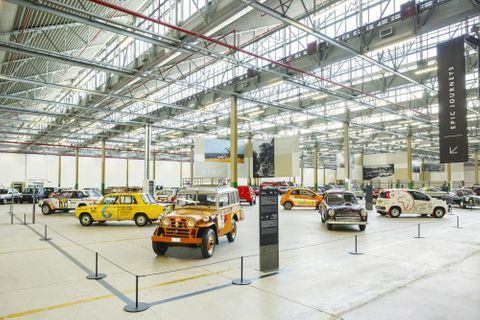 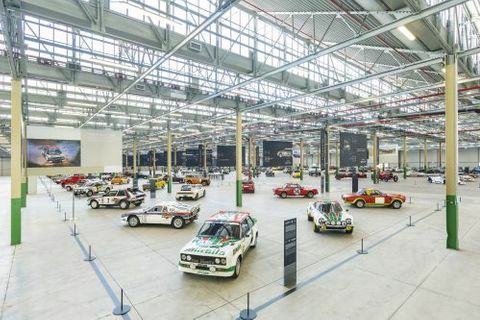 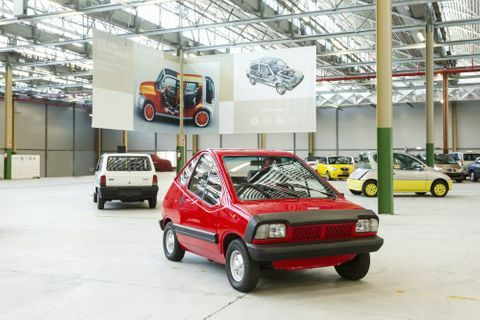 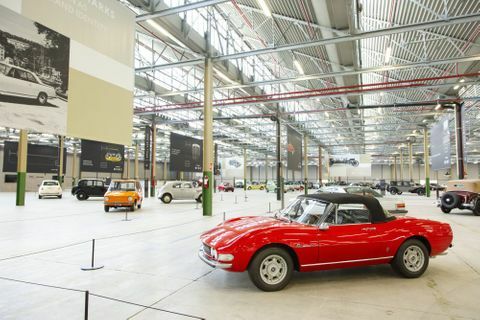 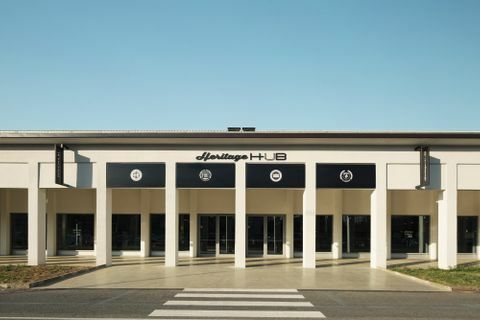 The Hub’s 15,000sq m building was once used to manufacture gears, driveshafts and bearings; now, on the original concrete factory floors, are more than 250 Fiats, Lancias and Abarths (Alfa Romeo is well-represented in Milan, at the Museo Storico Alfa Romeo). 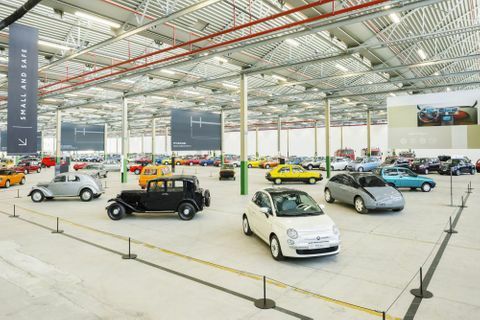 The centre of the building is devoted to eight separate displays, each containing eight cars, while down the left side of the building are around 100 Fiats and Abarths, many of them design studies, concepts and prototypes. 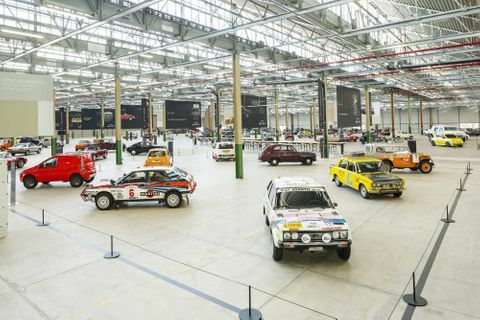 On the right side are a similar number of Lancias, from the very first to the most recent Chrysler-based models. 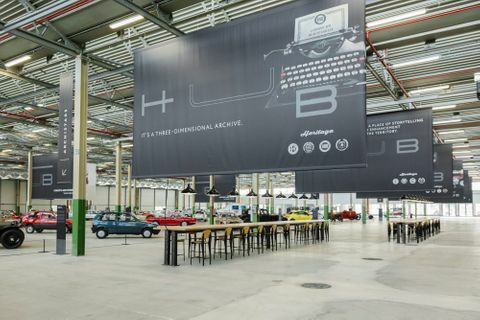 The building itself has been sympathetically restored, using the historic mustard and green paint colors on the walls and the metal columns that it featured when it opened in 1968. 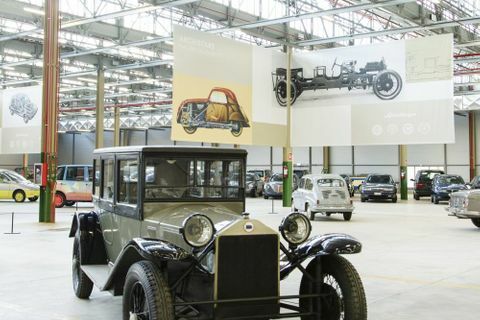 Archistars, which focuses on motorcar architecture, for mould-breaking designs. 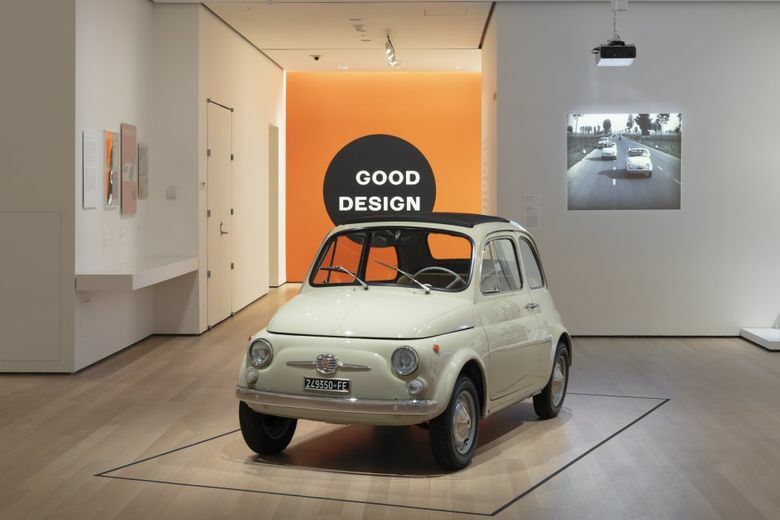 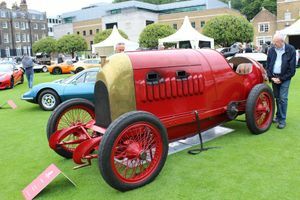 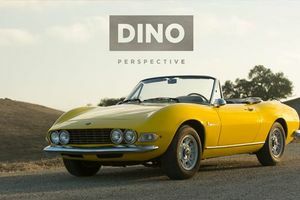 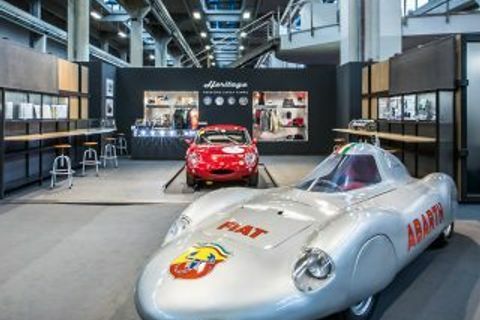 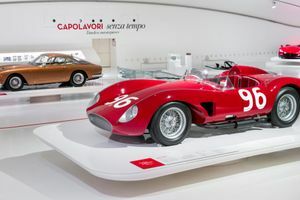 Its exhibits include the Lancia Lambda, the first unibody car in the world, the Lancia Flavia, the first Italian model equipped with front-wheel drive and disc brakes on all four wheels, and the Fiat 500 Topolino, the 600, the Panda and the Uno. 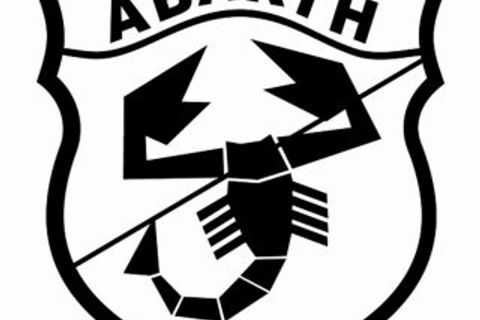 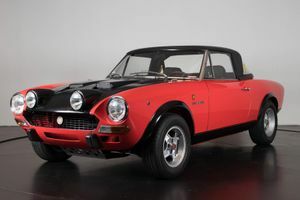 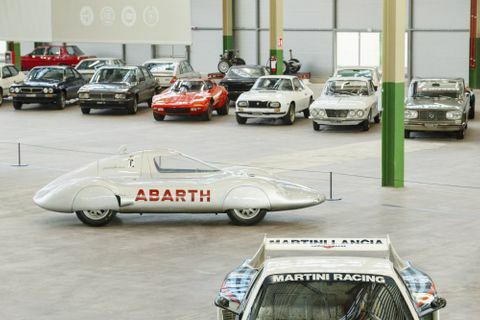 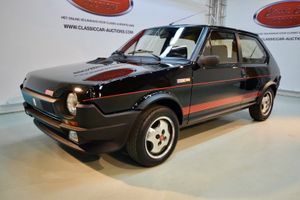 Concept and Personalised Cars, including theFiat 130 Familiar and Panda Rock Moretti, the Abarth 2400 Coupé Alemanno by Carlo Abarth,the Lancia Astura Farina and the Flaminia Coupé Loraymo. 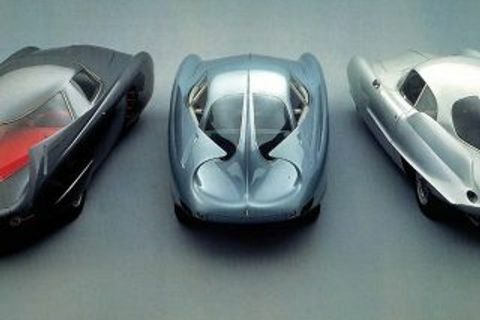 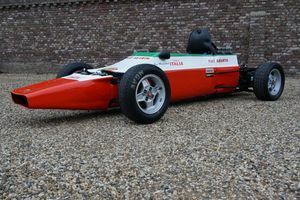 Eco and Sustainable, starting with the X1/23 of 1974 and the Ecobasic of 1999, both of them all-electric, and way ahead of their times. 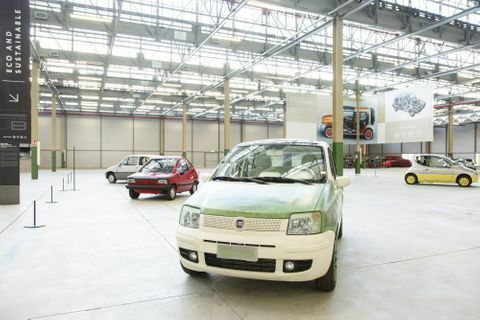 Several of the cars are built from sustainable materials, including coconut husk fabric for the seats and recyclable plastics. 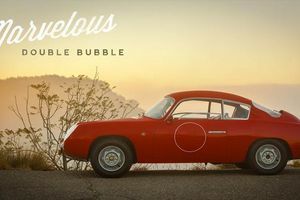 Epic Journeys, with the Fiat Campagnola AR 51 that drove the length of Africa from Cape Town to Algiers in 1952 in a record 11 days, the Fiat 1100 E which in 1953 completed the first single-driver around the world tour, covering over 72,000 kilometres, the Fiat 124S which in 1970 reached the North Cape in 50 days from Cape Town, the Fiat 131 Abarth Diesel that won its class in the 1977 London-Sydney, and the Lancia Delta HF Integral Group A winner with Miki Biasion and Tiziano Siviero of the Safari Rally in 1988. 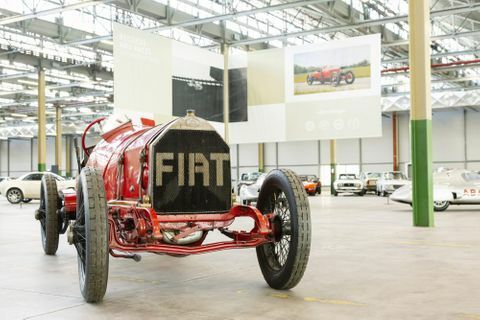 Records and Races, which starts with two cars from 1908, the Fiat S61 and the 12HP “Alfa” Sport–a competition version of the first car built by Lancia—alongside a Formula 1 Lancia D50, three Abarth recordbreakers, and twoEndurance race champions: the Lancia Beta Montecarlo Turbo and the LC2. 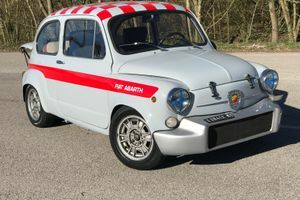 Small and Safe, heralding maximum safety and reduced dimensions, shown by the 1933 Lancia Augusta, the 1939 Lancia Ardea and prototypes such as the 1968 Fiat City Taxi, and the ESV 1500 and ESV 2000 models, both designed to analyse safety and resistance in the event of a collision. 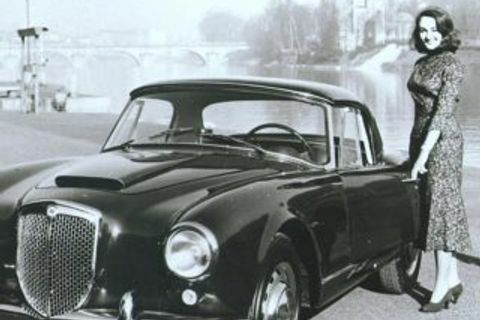 Style Marks for the cars that expressed the identities of their respective brands at the time, including the Lancia Aurelia B20 right through to the Fiat Barchetta. 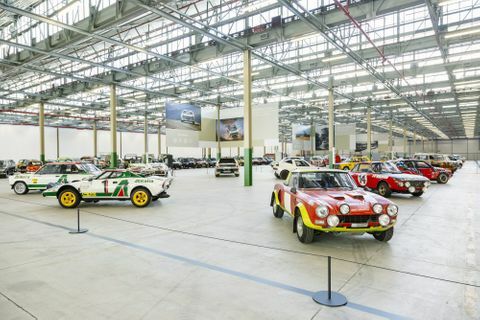 The Rally Era, coveringthe Lancia Fulvia HF 1600, which won the 1972 Monte Carlo Rally, the Stratos HF, the victorious Delta HF and the Fiat 124 Abarth Rally and 131 Abarth Rally. 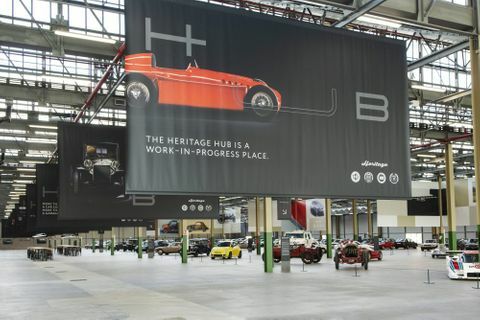 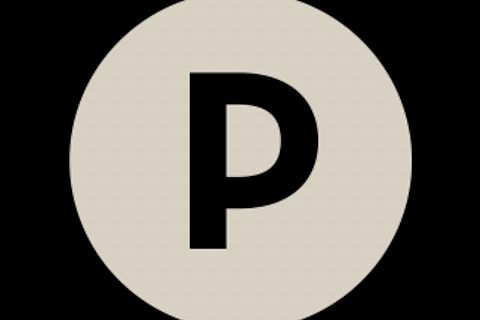 It’s early days for the new Heritage Hub, yet to officially open to the public, and there’s a new website on its way that will details the histories of the four brands. 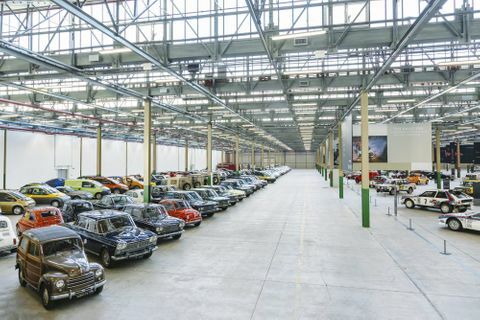 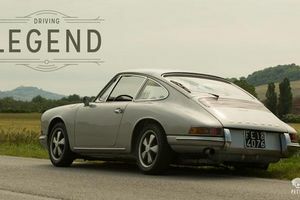 It doesn’t have the modern architecture or the social histories of the big German manufacturer museums, but it’s authentic and unapologetic about showing cars that have been tucked away for years, many of them now showing dents and scratches from their years in exile.